My 1st year anniversary is coming up this weekend. I've made it through a whole year of marriage. People always say the first year is the toughest, but we had already been living together beforehand, so not too much had changed. Our plan is to go to the big city, spend the day seeing the sights, taking a trip to a spa, and topping the night off with a visit to a Benihanas. 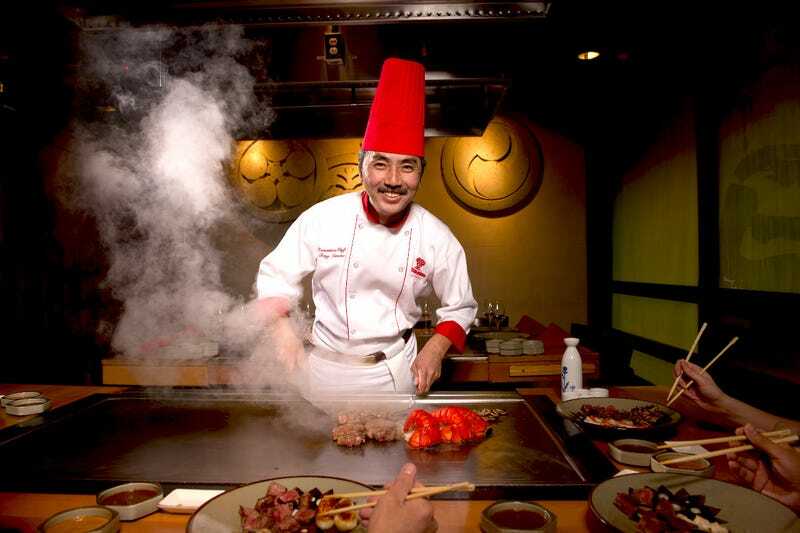 I'm pretty excited to try the food (my wife and I are fans of Japanese cuisine), and I really look forward to the "show" the chefs put on at each table. My questions are: Have any of you been to a Benihanas before? If not, have you ever gone to a restaurant where the food is prepared in front of you (with flair, not like at a Subway)? How was the experience?